Hope. 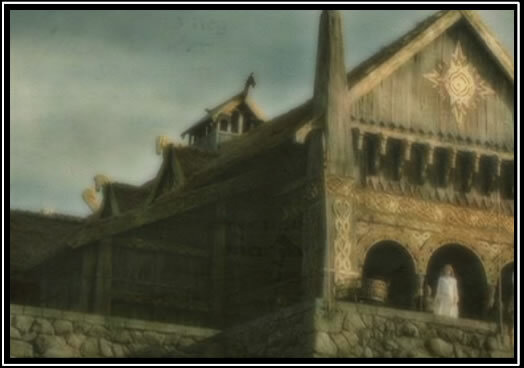 Hope was the only thing keeping the people of Edoras going. The kings have been slain and the soldiers that once stood for the human race surrendered instantly. The mystics took advantage of the surprise attack and once Onyx finished off the royal line he would soon be their ruler. The mystic king knew that the princes escaped, but their feeble attempts to regain their kingdom was futile. The people were weak and worst of all scared of the new authorities. Mystics now raided homes, taking everything ranging from food to precious merchandise. The hall of which the Rittermarks ruled in was now occupied by a very greedy mystic. The banners had been torn down since it resemebled the power it once had and replaced with dark purple flags with the all seeing Eye embroidered in the front. The servants and knights of the kingdom also answered to a new ruler, Onyx.
" So you beg for food..." Onyx snorted, his body laying lazily on the throne that once belonged to a great king. His leg was over the velvet arm and the crown was laying perfectly ontop of his head. He barely had to deal with the peoples problem, alot of them were afraid to even come into the kingdom hall. The ones brave enough however.. " ..I'm sorry, but I'm not convinced." The mystic tsked and sat up from his seat, he reached into his pocket and pulled out his pendelum. As it swung back and forth, blood splattred in every direction but the spot the mystic king was sitting in. " Clean this up.." The mystic called out to the maidens waiting, their eyes were red from crying and with fear they quickly got to their knees to clean the blood up. " I can get used to this.."